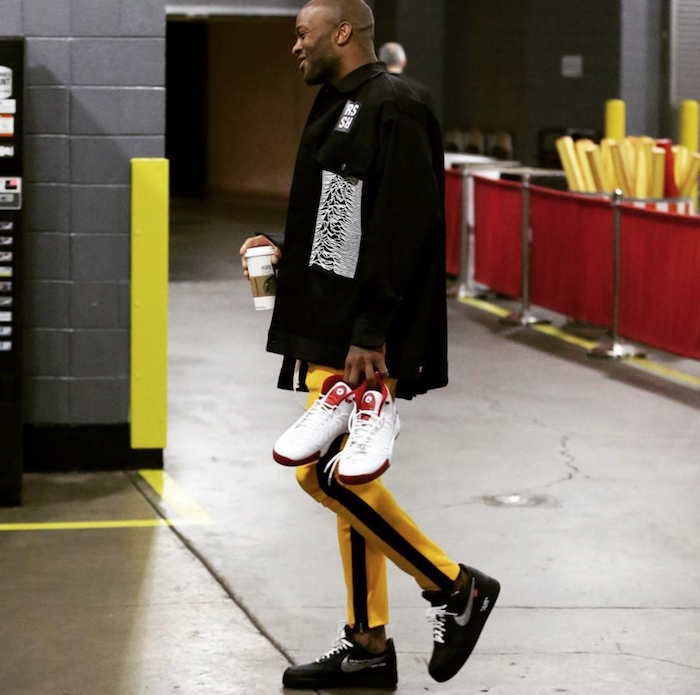 Sneaker enthusiast P. J. Tucker pregames in Raf Simons jacket and Starbucks buzz. I don't know what is more throwback, his Air Jordans or his Starbucks java. Bring it all back P. J. , you are the best.